The news is bleak. Even in homes where comfort and security are the rule, the media confronts children and adults with images of war, animosity and displacement. Some are directly affected while others have many questions, and all seek answers. The traveling exhibit, Hello, Dear Enemy!, does not provide answers, but it does provide a path to conversation. Worlds of Words in the University of Arizona College of Education is the first stop for this powerful collection from the International Youth Library in Munich, Germany. Hello, Dear Enemy! 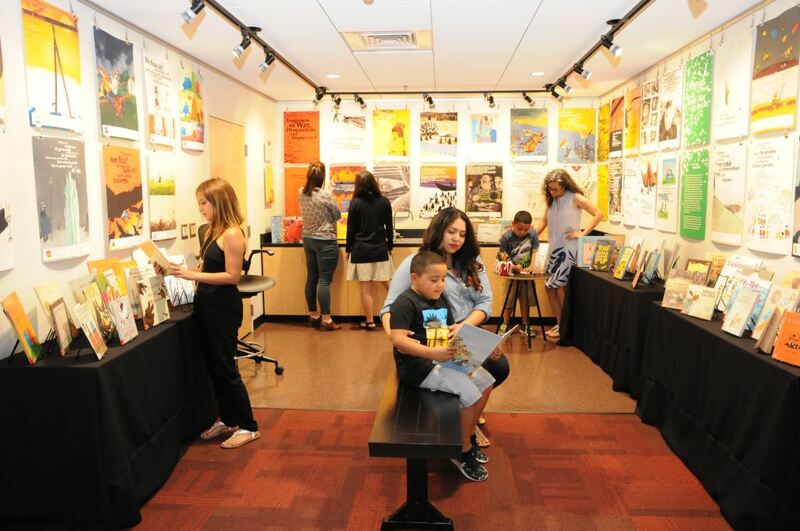 is a traveling exhibit created by the International Youth Library in Munich, Germany and makes its first stop at Worlds of Words in the University of Arizona College of Education. WOW invites the community to come tour the exhibit, which is free and open to the public. Photo by Jen Ryder.